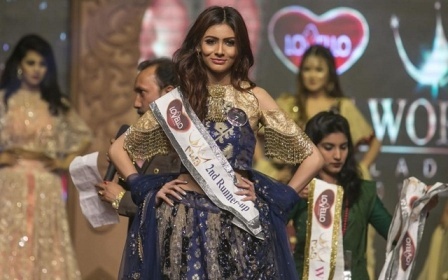 The Miss World Bangladesh-2017 fracas has concluded with the crown taken away from Jannatul Nayeem Avril, and Jessia Islam announced as the new winner. Avril, who was crowned Saturday at the end of a gala night, had to be disqualified after it was reported following her victory that she concealed the fact that she had been married while entering the competition. Besides, the six judges also spoke to the media after the event to reveal they had not even chosen her - at least two of the judges said she was not even in their top 3. Avril was the choice of the organizers, it was alleged. Bibi Russel, the internationally recognized Bangladeshi fashion designer who was one of the judges of the competition, announced the new winner during a press briefing at a hotel in the capital. Two other judges, actress Shampa Reza and photographer Chanchal Mahmood, were also present for the rehashed prize giving ceremony held after the press briefing. Bibi Russel crowned Jessia Islam with the crown after announcing her as the new Miss World Bangladesh-2017. Earlier, on Saturday, Jannatul Nayeem Avril was announced as the winner of the competition but later, the allegation of hiding information about her marriage arose against her. Antar Showbiz Chairman Shapan Chowdhury, one of the organizers of the competition, said the mistakes and mismanagement were a big lesson for the organizers. Pleading inexperience, as it was the first time arranging such a competition, Chowdhury pledged to be more alert to such mistakes in the future. Chowdhury himself had taken the microphone off presenter Sheena Chouhan's hands on Saturday and announced Avril as the winner, after Chouhan had announced a different winner, Jannatul Sumaiya. The first and second runners ups, somewhat mysteriously, also changed with the original second runner up, Jannatul Sumaiya, who logically should have moved up to first runner up, left out altogether from the new winners announced on Wednesday. Jessia Islam will now be representing Bangladesh in November's Miss World competition in China, the first time Bangladesh is going to participate in this competition. The controversy surrounding the competition and Antar Showbiz's handling of it however, is likely to persist. Apart from providing no explanation as to why a winner different from the judges' choice was announced on Saturday, that too by the organizer himself, or why Sumaiya was left out of the final list of winners, they have also displayed their sheer incompetence in not vetting the information provided by the participants.